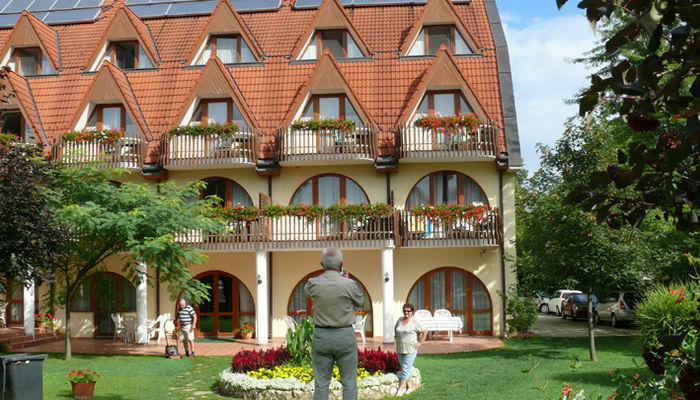 Situated in the town of Hévíz, just 600 metres from the thermal lake, Àgnes Hotel provides different accommodation units. The hotel features a wellness area with a hot tub, a sauna and an indoor swimming pool. Massages are available on request. All units come with a TV, a fridge and a bathroom with a shower. Some units have a kitchen or a kitchenette. Free internet access is provided in public areas. A safe deposit box is available at the reception. Àgnes Hotel offers the possibility to play billiards and table tennis. A garden with BBQ facilities can be used by all guests. • Half board is available at 1700 HUF per person.